Serving North Carolina since 1977, Wake County residents have trusted Weather Master and Mr. Plumber for all of their heating, air conditioning, plumbing, and HVAC needs. We offer a full range of quality services and products to help meet the needs of homeowners and businesses here in Wake County. Our products include air conditioners, heat pumps, furnaces, thermostats, water heaters, tankless water heaters and more. We are proud to serve the residents of Wake County and are fully committed to doing “Whatever It Takes” to deliver comfort to their homes and businesses. Our heating and air conditioning technicians have been repairing, servicing and installing air conditioners in Wake County for more than 40 years. We offer 24 hour emergency service if you have an unexpected HVAC breakdown. Our maintenance vehicles are stocked and ready to handle your heating and air conditioning repair needs. We also offer a wide selection of new air conditioners, heat pumps, and furnaces if it is time for a new heating and cooling system in your home or business. Weather Master’s Mr. Plumber has Wake County covered when it comes to plumbing. Whether you are dealing with clogs and leaks or are in need of parts and equipment, we are the ones to call in Wake County. Our trained plumbers meet our rigid certification standards and our customer care policies are unmatched in the industry. Along with great service, we also offer quality plumbing products including water heaters and tankless water heaters. Tripped circuit breaker? Faulty switches or outlets? Lights keep dimming? 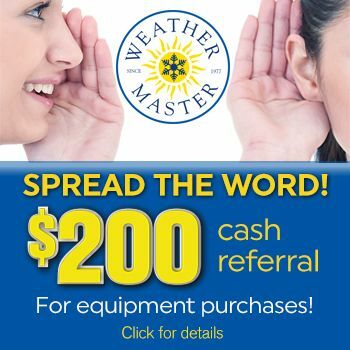 Call Weather Master Electric! Our skilled electricians are dedicated to providing you with excellent service so that your problem and life can get back to normal as quickly as possible. So, if you need to repair, maintain or improve the electrical systems in your Wake County home, you can rely on Weather Master Electricians.